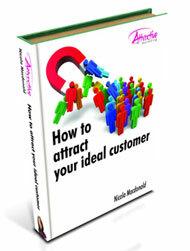 Attractive Marketing delivers great value and quality marketing services to small business owners. Whether you are the Managing Director of a small business or a solopreneur your marketing needs will be catered for right here. What problems and issues do they struggle with? How do you resolve their problems? Why should they do business with you rather than your competitors? Only when you have answered these questions will you develop clear and compelling messages to use within your tactical marketing campaigns. What’s your plan? I’d love to know. Call Nicola Macdonald now on 07565 382803 to book a FREE 30 minute consultation. You’ve nothing to lose and business to gain!